Thursday 18th was a regular Hacksession for the Surrey & Hampshire Hackspace based in Farnborough. Once again it was mixed evening of hacking and chatting. 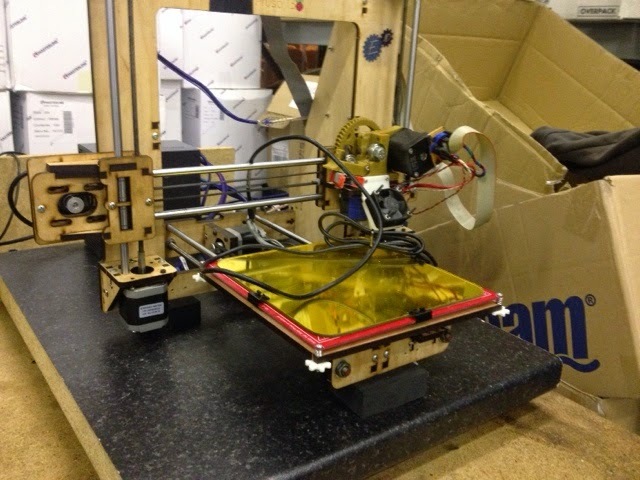 Everything from testing new 3D printer controller boards and finding the optimum temperature for a new filament. 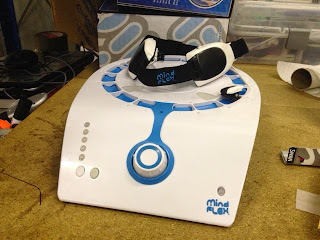 A quick test of Mindflex game which included a mind controller. 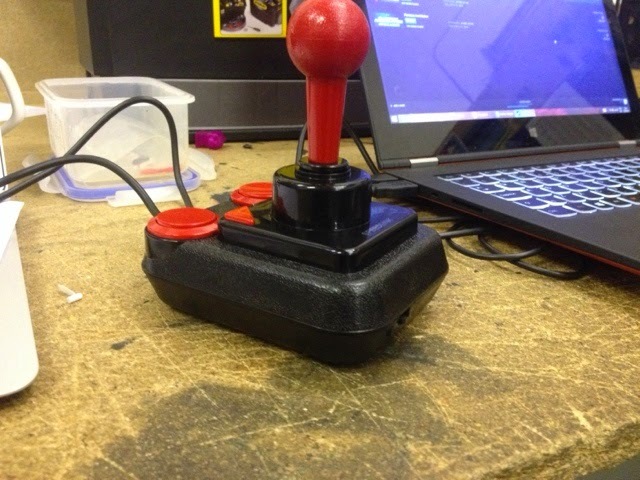 Retro joysticks now with USB port. 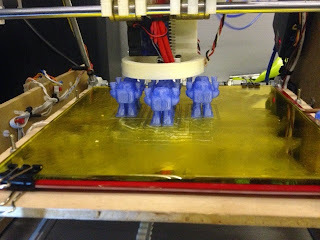 Printing our small overboard robot army. The 3D printed robots are to replenish the stocks on sale at te Lightbox in Egham. 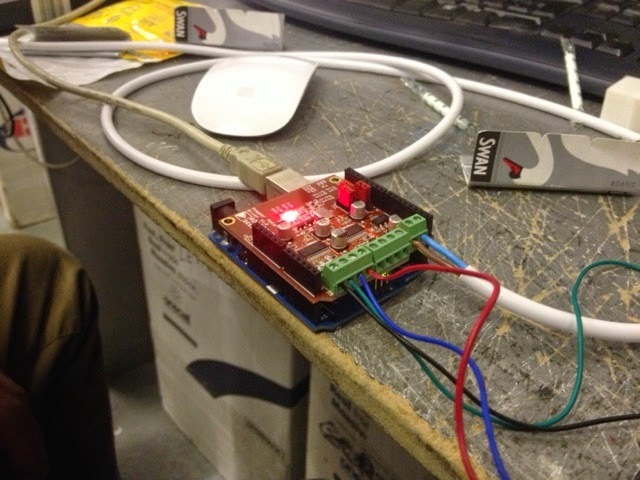 One of the members also had a RGB LED embedded in a 3D printed difusser. 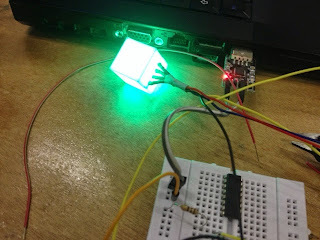 Done by stopping the print half way to place the LED inside. 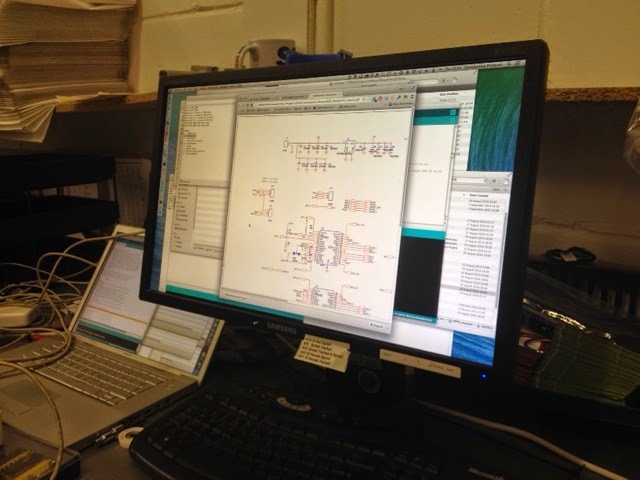 A real fun evening. If you are in the Farnborough area and this sounds like fun drop in and say Hi.